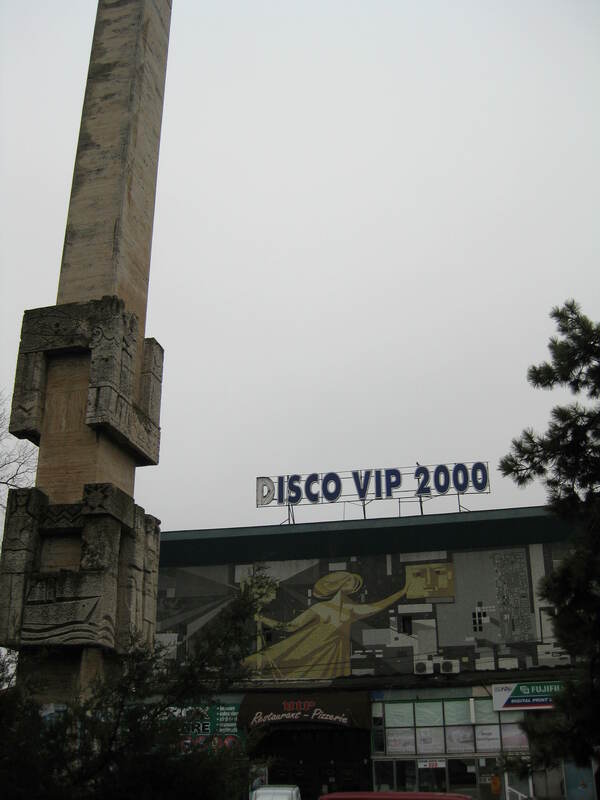 Today it is a discotheque called VIP. The building holds a restaurant, a film developer, and a copier, among other stores, but it used to be one of the cinemas in Galati. 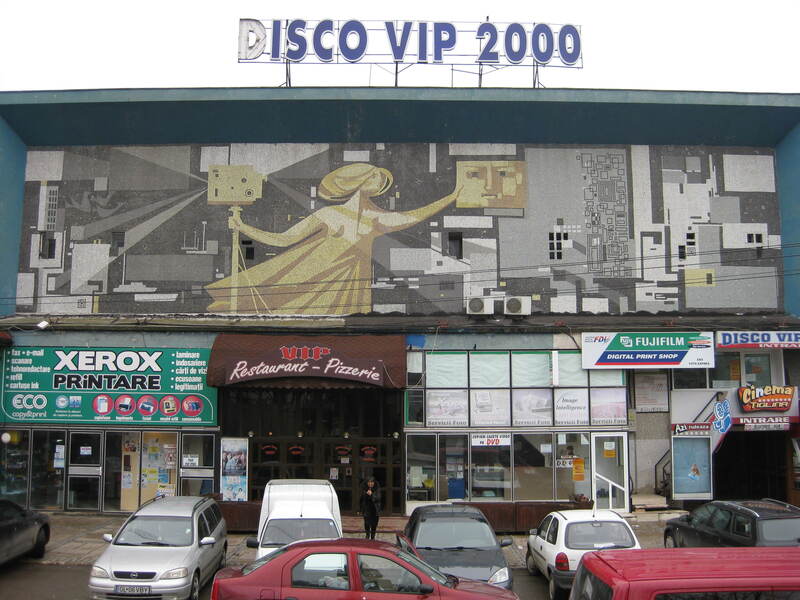 The art on the front of the building reflects the communist era in which the cinema was constructed. The communist art is controlled by its geometric shapes. The machinery is manipulated by a human being, which says something of a humanizing vision. But the technology, in its projection of the face of its technician, disfigures the human being. In the projection, humanity is controlled and reduced to geometry. We are reminded of Narcissus, who fell in love with his own image that was reflected in the pool, not realizing that it was only a reflection. Here the woman has constructed her own reflection. She is the center of the piece and is the largest feature. And she gazes at herself as the camera projects her light in every direction. The question is whether this woman represents the self-enthronement of humanity as in the communist vision or are the echoes of Narcissus and of a flattened out human image a subversive critique of communism?